Mr. Petri is one of the most respected lawyers and leaders in Southeastern Pennsylvania. Admitted to the Supreme Court of Pennsylvania in 1985, Mr. Petri has developed a reputation as a tireless servant to his clients. He is admitted to the Eastern District of Pennsylvania and the Court of Appeals for the Third Circuit. He also has presented matters before various administrative agencies including the EEOC, the Pennsylvania Public Utility Commission, Pennsylvania Human Relations Commission and the Department of Public Welfare. As a State Representative for parts of Upper Makefield, Upper Southampton and Warwick Townships, and all of Northampton and Wrightstown Townships and Ivyboro Borough, Mr. Petri is on the cutting edge of the development of laws which effect each and every one of us. 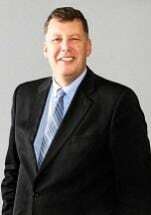 Before joining the legislature, Scott served as chairman of the Upper Makefield Planning Commission, and a member of the Joint Municipal Planning Commission. He also chaired the traffic impact committees and served as solicitor for Upper Makefield Township. He is currently special counsel for the township. Scott is a 1985 graduate of Villanova University School of Law where he was a member of the moot court board. He is a graduate of Washington and Jefferson College, where he received his Bachelor of Arts in English and Political Science. Scott, his wife, Ellen and their son, Drew are residents of Upper Makefield. In his free time, when he is not pursuing his clients' possibilities or advancing public policy, Scott enjoys playing basketball and golf. Somerton Springs Swimming Club, Inc.